Michelangelo di Lodovico Buonarroti Simoni, better known as Michelangelo, is one of the most famous figures of the Italian Renaissance period (between the 14th and 16th centuries AD). The Renaissance marked the transition from the Medieval period to the Early Modern period. During this period of European history, numerous changes and achievements were taking place in the city states of Italy. These included developments in science and technology, as well as in the arts and architecture. Amongst the most well-known figures of the Renaissance are Dante Alighieri , Niccolò Machiavelli, Leonardo da Vinci , Donatello, as well as Raphael and, of course, Michelangelo. Michelangelo was born in Caprese, near Florence, on March 6, 1475. Shortly after his birth, Michelangelo and his family moved to Florence. Though he would travel to other parts of Italy during his lifetime, it has been said that Michelangelo considered Florence as his true home. Evidence for his feelings may be seen in the fact that he had requested to be buried in Florence upon in death. 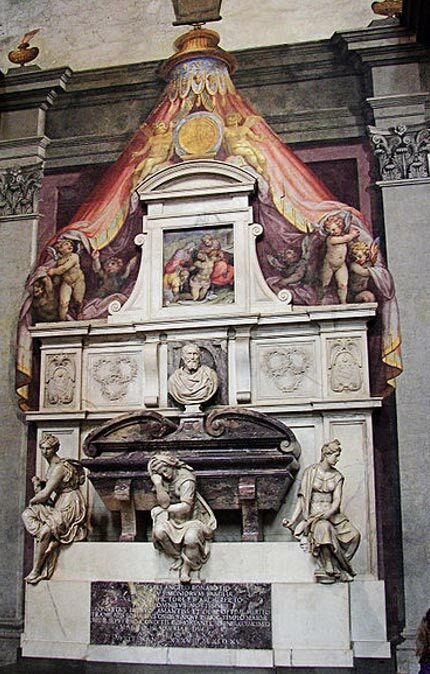 Therefore, when Michelangelo died in Rome in 1564 at the age of 88, his body was taken to the Basilica di Santa Croce in Florence to be interred. Initially, Michelangelo’s father did not approve of his son’s interest in art as a career. In 1488, however, Michelangelo became an apprentice of the painter Domenico Ghirlandaio, who was known for his murals. A year later, his talents caught the attention of Lorenzo de’ Medici, Florence’s leading citizen and art patron. As a result, Michelangelo was invited to live in the home of the Medicis , an invitation that he accepted. 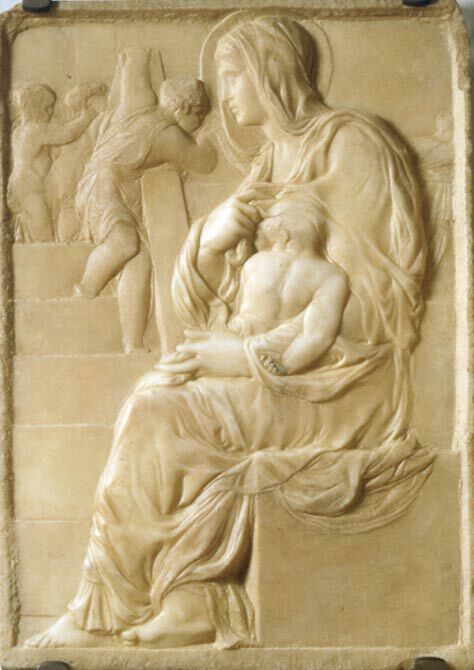 Madonna della scala (circa 1492) by Michelangelo. Casa Buonarotti, Florence, Italy. ( Public Domain ) This is Michelangelo’s earliest known work. Elsewhere in Italy at the same time, Leonardo da Vinci was starting to produce his most important works, and scholars have argued that this marked the beginning of the High Renaissance, the high point of visual arts of the Italian Renaissance. 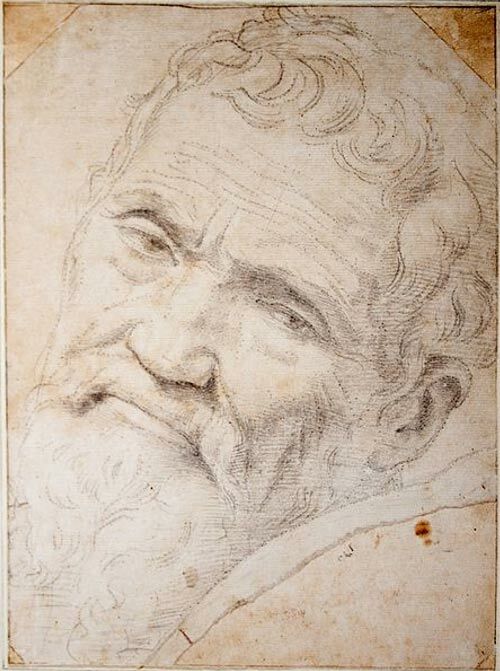 For Michelangelo, his best-known works would only be produced a little later. In the meantime, he was learning and being inspired by the members of Lorenzo’s intellectual circle. More importantly, perhaps, was the fact that during his time in the Medici household, Michelangelo was able to study classical sculpture under the famous sculptor Bertoldo di Giovanni. Michelangelo would always consider himself first and foremost a sculptor. 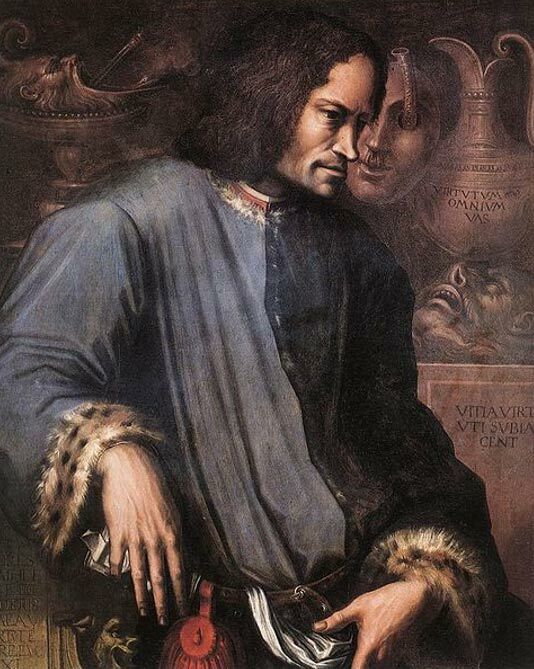 The death of Lorenzo de’ Medici in 1492 was indeed a blow to Michelangelo, as well as to the city of Florence. 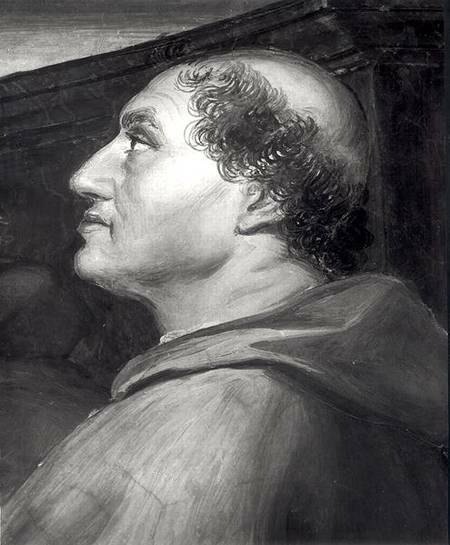 This marked the end of Florence’s Renaissance heyday, as a fanatically religious monk by the name of Savonarola came to power and succeeded in expelling the Medici family from Florence. After a short return to his father’s house, Michelangelo left Florence and followed the Medicis to Venice, then Bologna. The next stop for Michelangelo was Rome, but it was a deception that brought Michelangelo to the Eternal City. The story goes that whilst in Bologna, Michelangelo was involved in a scheme to sell one of his sculptures as an ancient work of art. It has been claimed that Lorenzo di Pierfrancesco de’ Medici, who belonged to the junior branch of the House of Medici, told Michelangelo to make his sculpture look as though it had been dug up, so that it could be sold to Cardinal Raffaele Riario in Rome. The cardinal bought the piece, though he later discovered the deception. 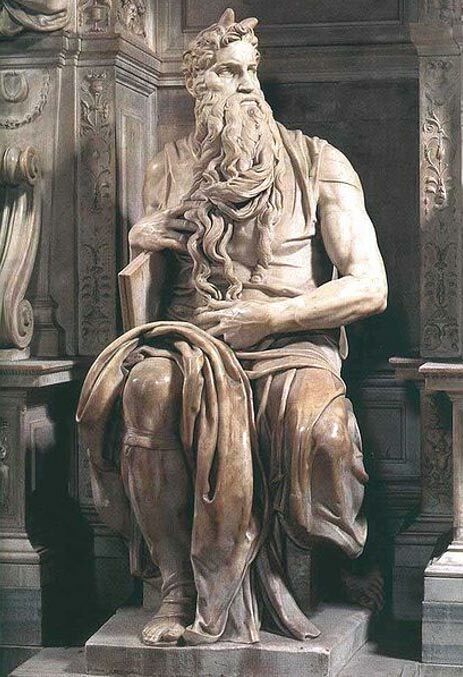 Nevertheless, he was so impressed with the quality of the sculpture that he decided to invite Michelangelo to Rome, where he would live and work for much of the rest of his life. Whilst in Rome, Michelangelo met Cardinal Jean Bilhères de Lagraulas, a representative of the French King Charles VIII to the pope, in 1498. 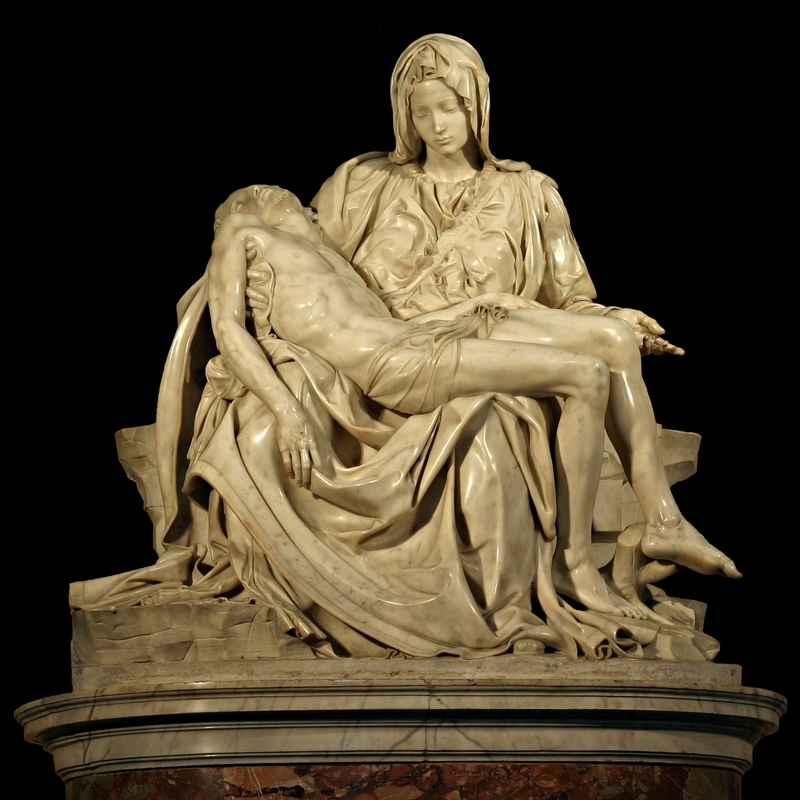 The cardinal commissioned Michelangelo to produce a sculpture of Mary holding the dead Jesus across her lap to grace his future tomb. This sculpture, known as the ‘Pietà’, was finished in less than a year, and was placed in the church of the cardinal’s tomb. Eventually the Pietà was moved to St. Peter’s Basilica in the Vatican City , where it is still admired by throngs of visitors. 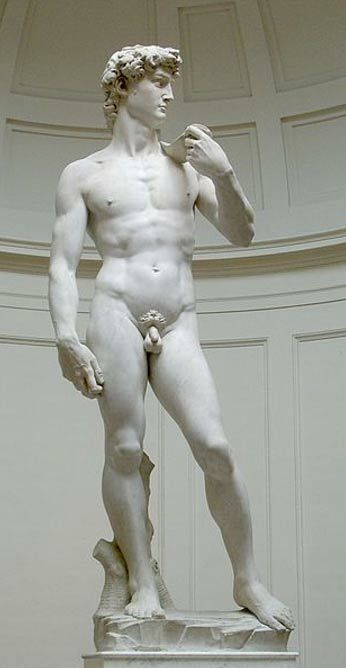 Michelangelo’s next masterpiece was another extremely well-known piece of art – the marble sculpture known as ‘David’. This was commissioned by the city of Florence to enhance the city’s Duomo (Italian cathedral), the Cathedral of Santa Maria del Fiore. Thus, in 1501, Michelangelo was back in Florence, where he produced the sculpture which is now one of the greatest symbols of Florence and its artistic heritage. Michelangelo’s creative streak continued, as he was summoned back to Rome in 1505 by Pope Julius II to design the Pope’s own tomb. The project was never completed, however, due to several factors. Nevertheless, a sculpture of Moses was eventually produced for that tomb. In 1508, Michelangelo was commissioned to paint the ceiling of the Sistine Chapel. It has been said that this was originally a plot devised by Rome’s artistic community to bring Michelangelo down, as they felt threatened by his rapid rise. They reasoned that Michelangelo would inevitably fail, as he had no experience in painting frescoes. Even if he did succeed, the commission should put him out of competition for some time, which would help them increase their own work. The artist initially refused, as he insisted that he was a sculptor, not a painter. The Pope’s insistence, however, prevailed, and Michelangelo finally agreed to undertake the monumental task. This was a challenging piece of work, as Michelangelo was required to paint constantly whilst lying on his back on top of a scaffold that brought him within inches of the ceiling. Beyond his rivals’ expectations, Michelangelo overcame these obstacles and completed his masterpiece after a short four years. Michelangelo fired all his assistants, as he deemed them incompetent, and completed this piece of artwork on his own. The physical rigor of this work took its toll on Michelangelo. Though he continued to paint and sculpt, Michelangelo became increasingly involved in architectural projects as well, and was eventually appointed as the chief architect of St. Peter’s Basilica in 1546.